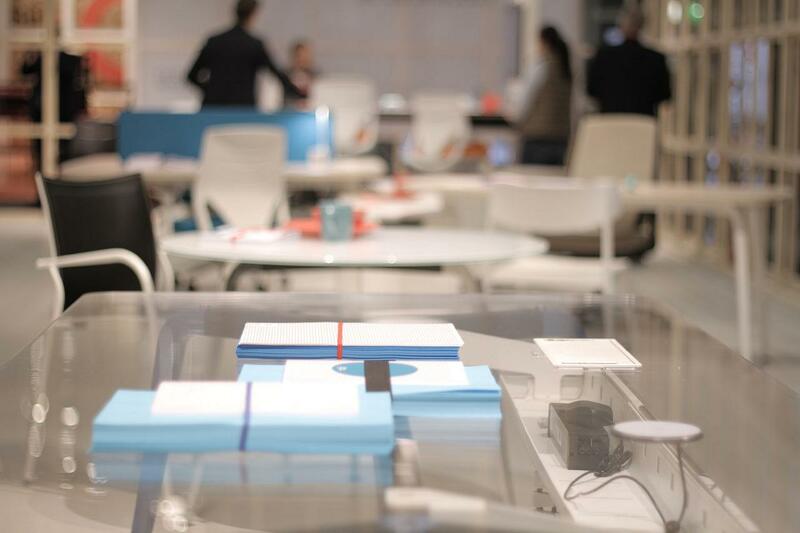 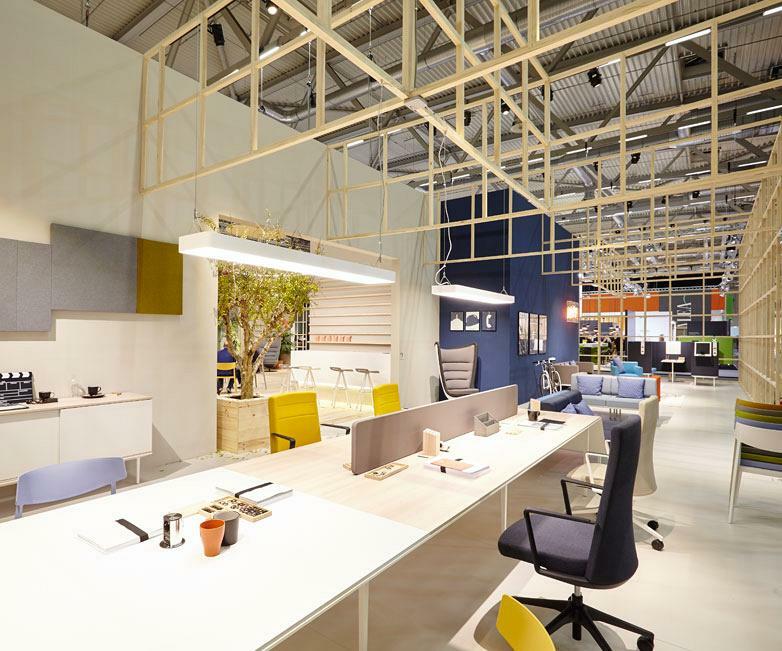 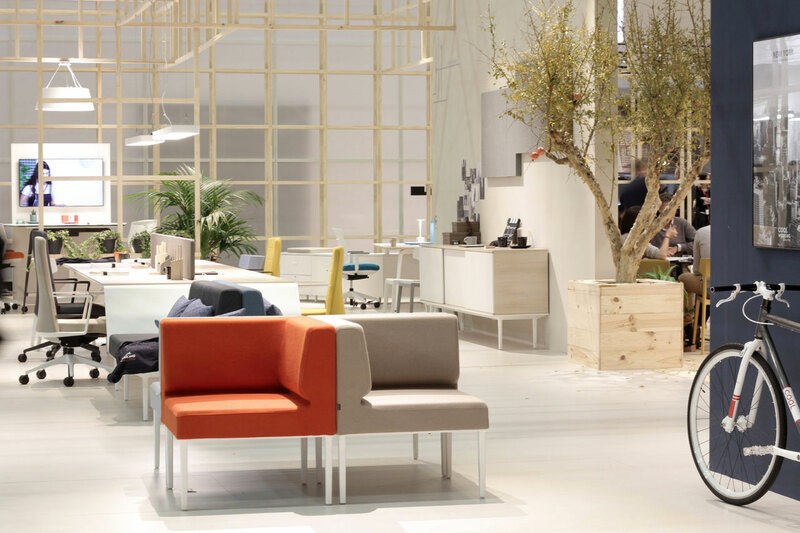 For the week of the 24th-29th October, Orgatec turned into the global epicentre for office furniture. 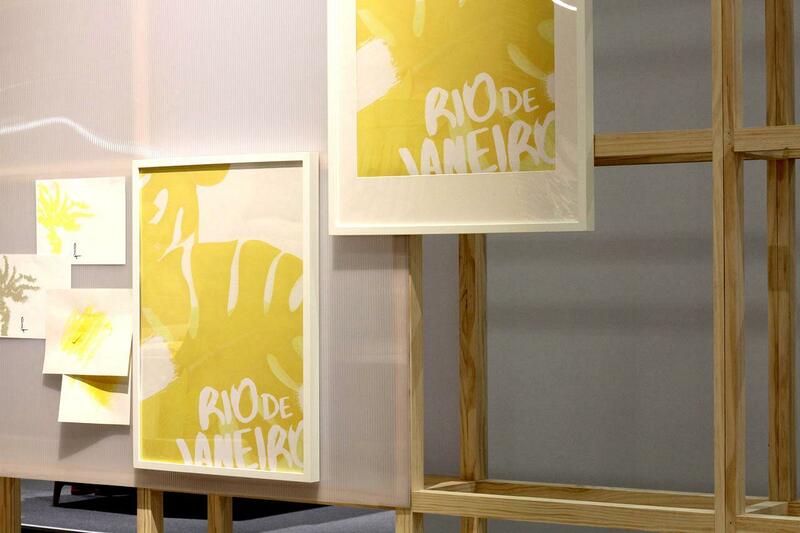 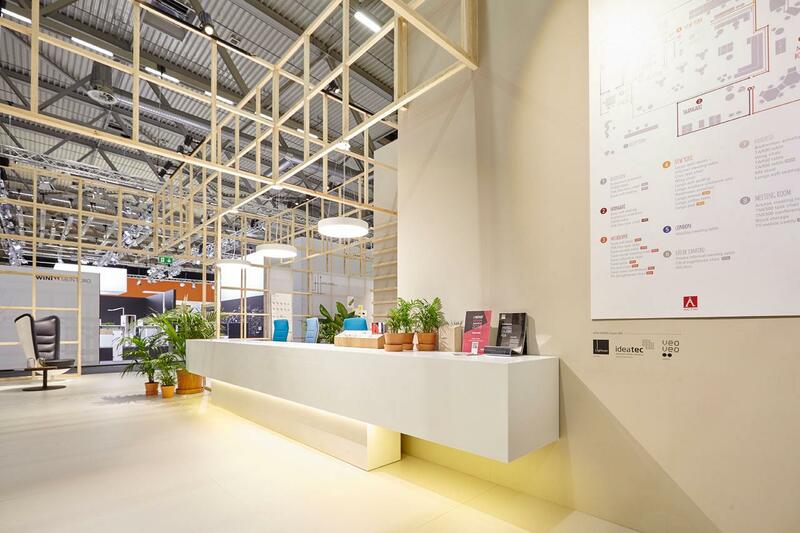 The German trade fair reached record numbers as more than 55,000 people from 118 different countries passed through. 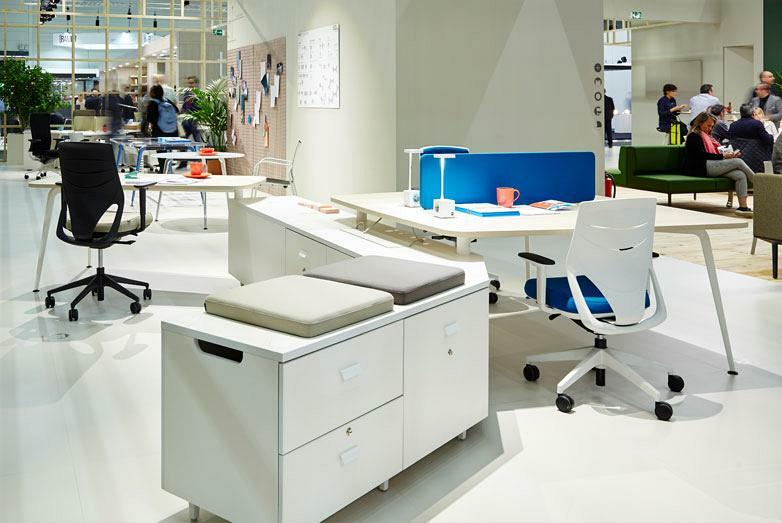 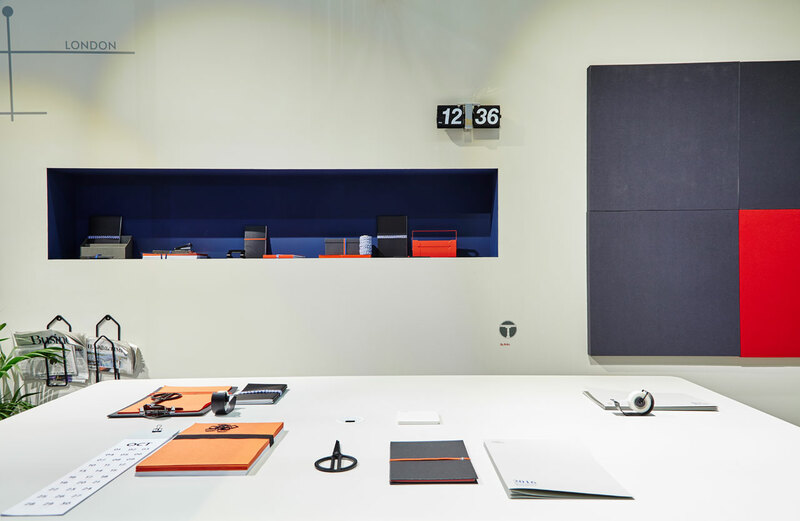 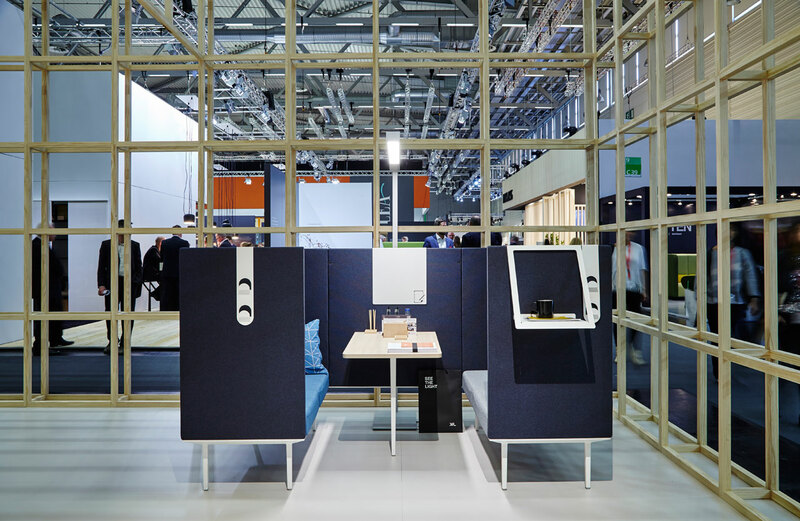 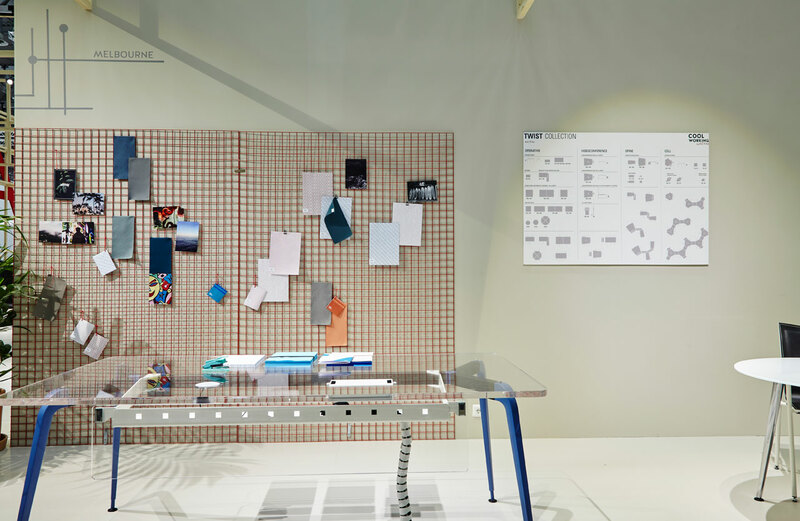 This multitudinous Orgatec edition was the place chosen by Actiu to showcase its new products – five new collections in total – as well as to materialise its Cool Working philosophy, a new way of working that is centred around people. 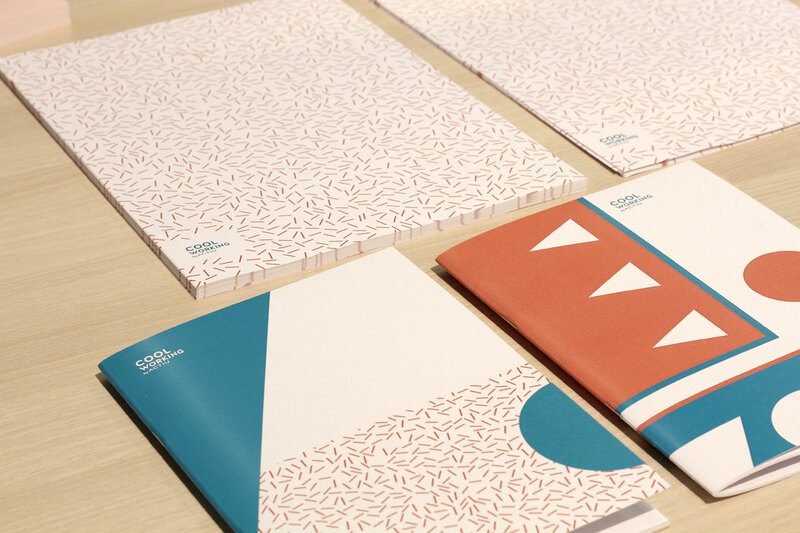 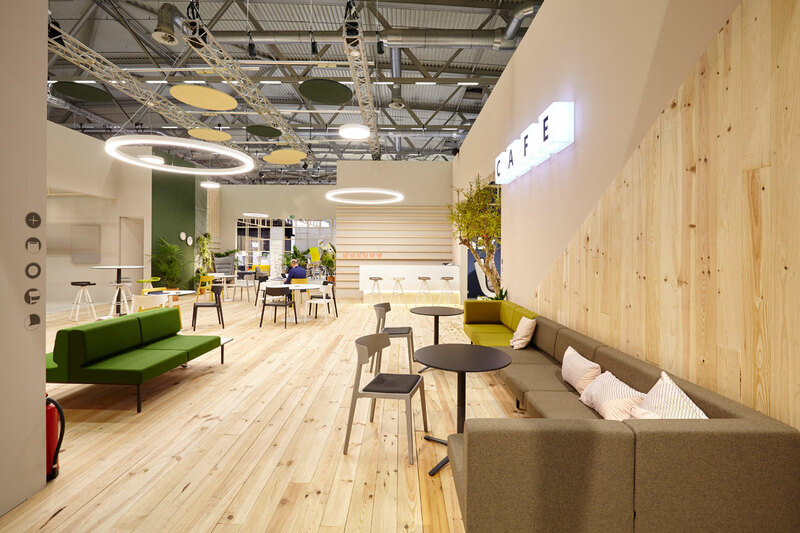 The philosophy focuses on their wellbeing and the new requirements demanded by the workspaces of those companies opting to improve their employees’ happiness. 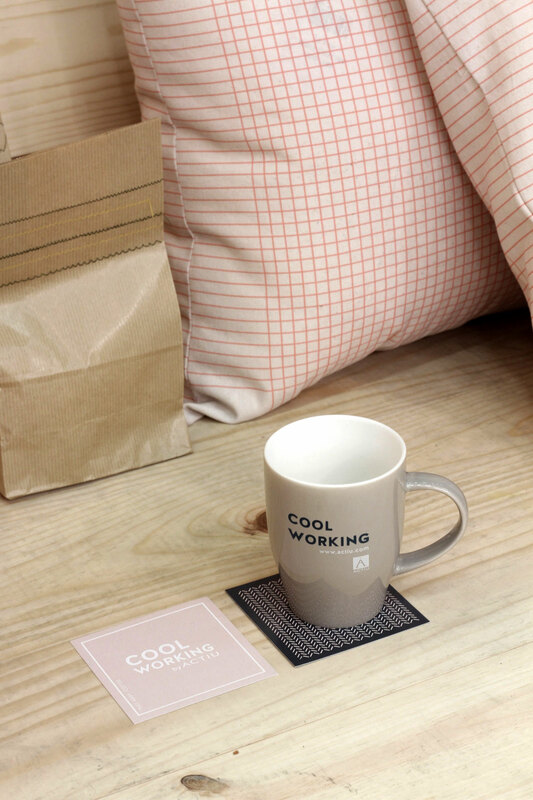 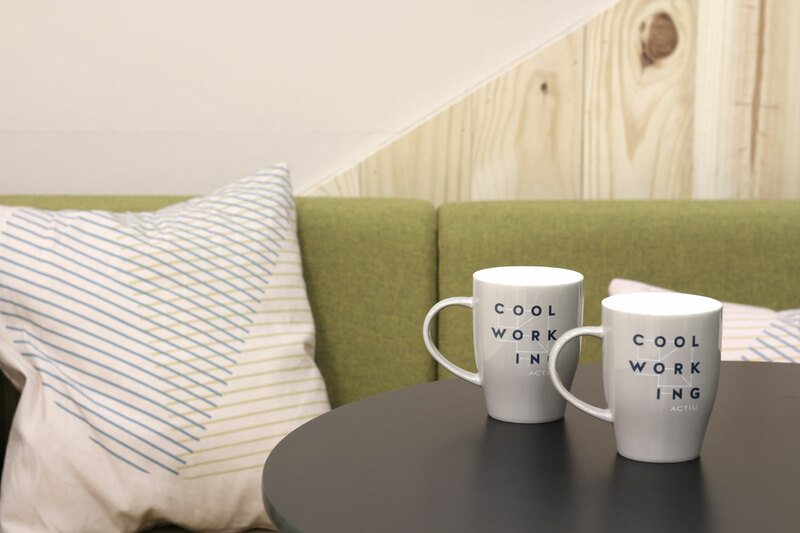 The Cool Working philosophy is made by people for people. 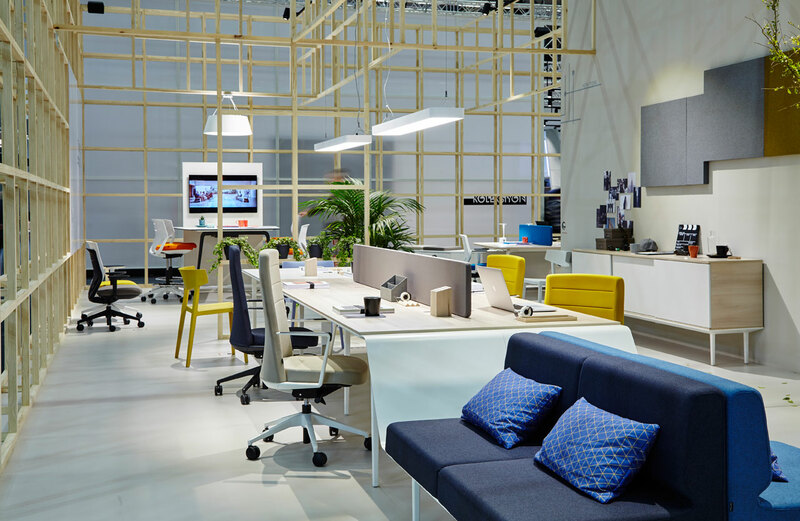 Companies who use space design and furniture as tools, can help their employees to become better professionals by: encouraging communication and collaboration; creating spaces for reflection and tranquility, or comfortable and functional workstations that do not allow for interruptions. 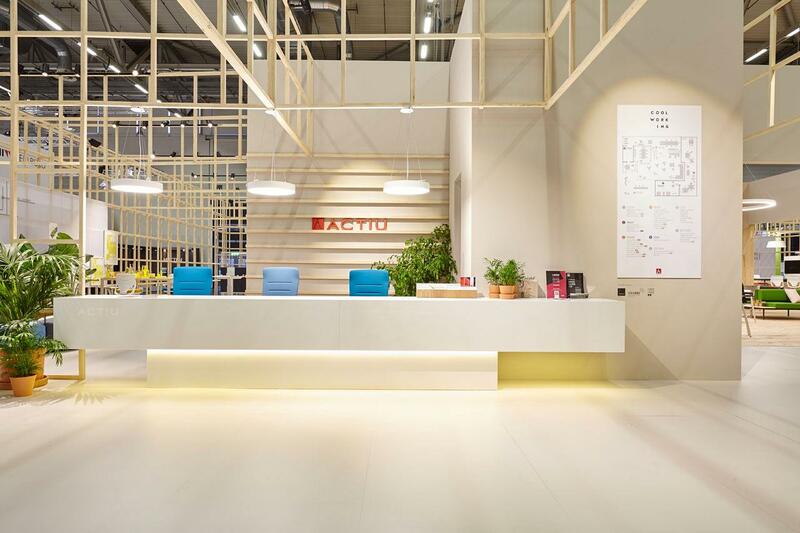 To help companies fulfil this journey, Actiu is proposing to be an active agent and travel companion in this change that can improve the company’s productivity through improving its workers’ happiness. 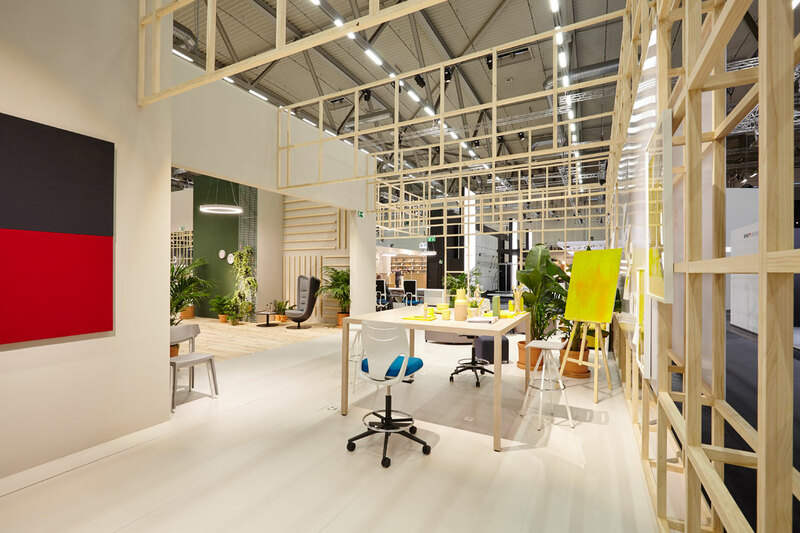 The small book goes over all of the main trends in the world of offices and the paradigms that are changing workspaces, as well as the spaces that best promote productivity and the solutions that Actiu can provide to create such spaces. 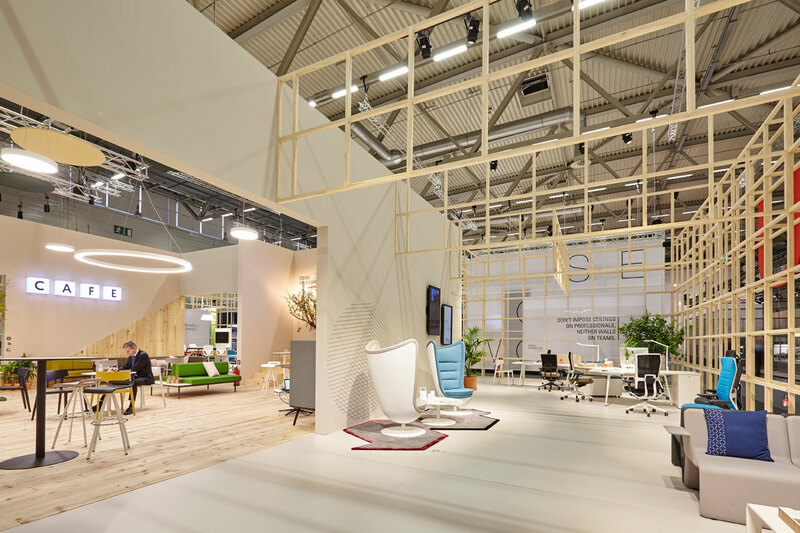 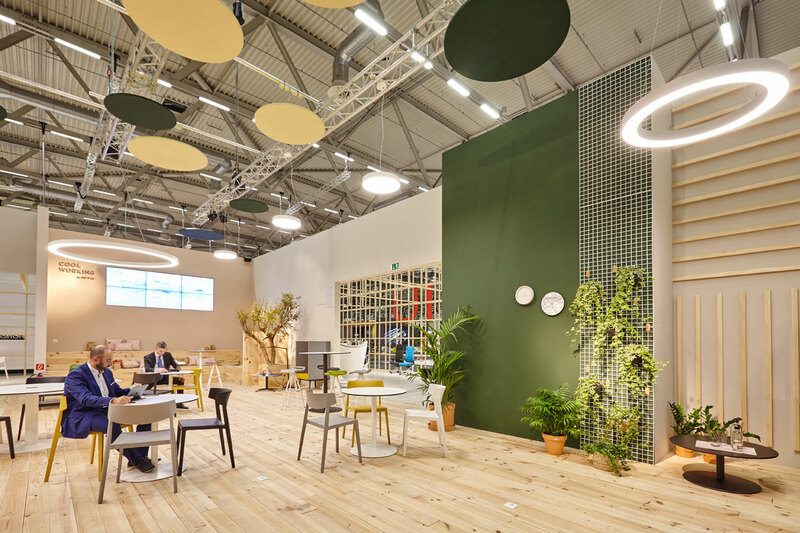 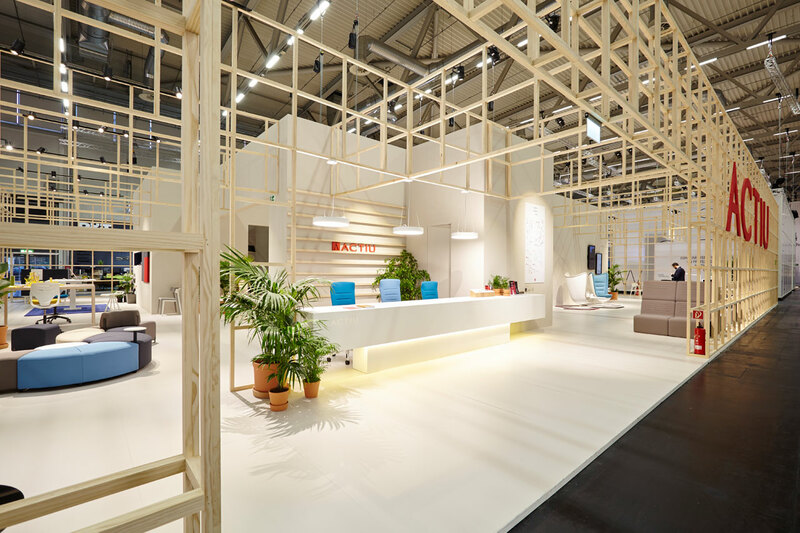 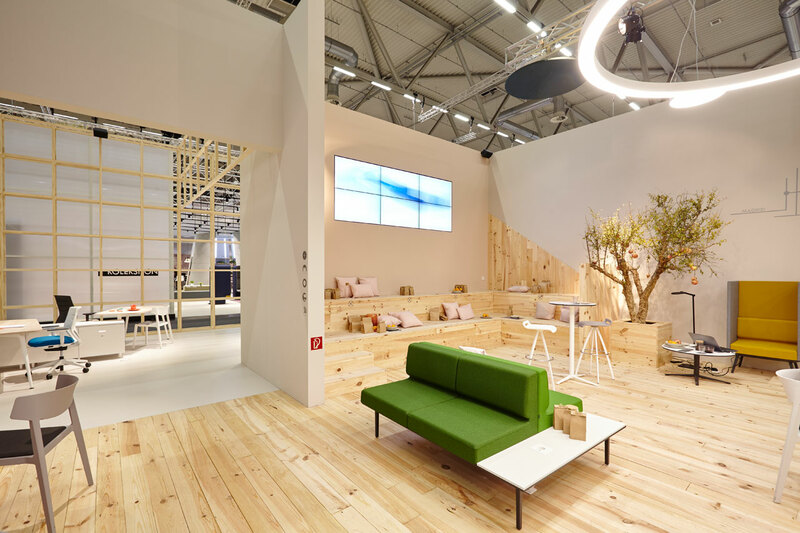 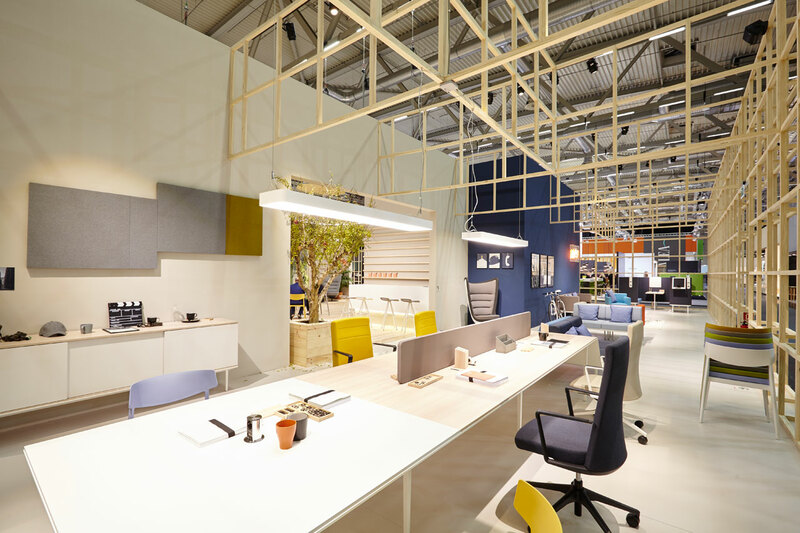 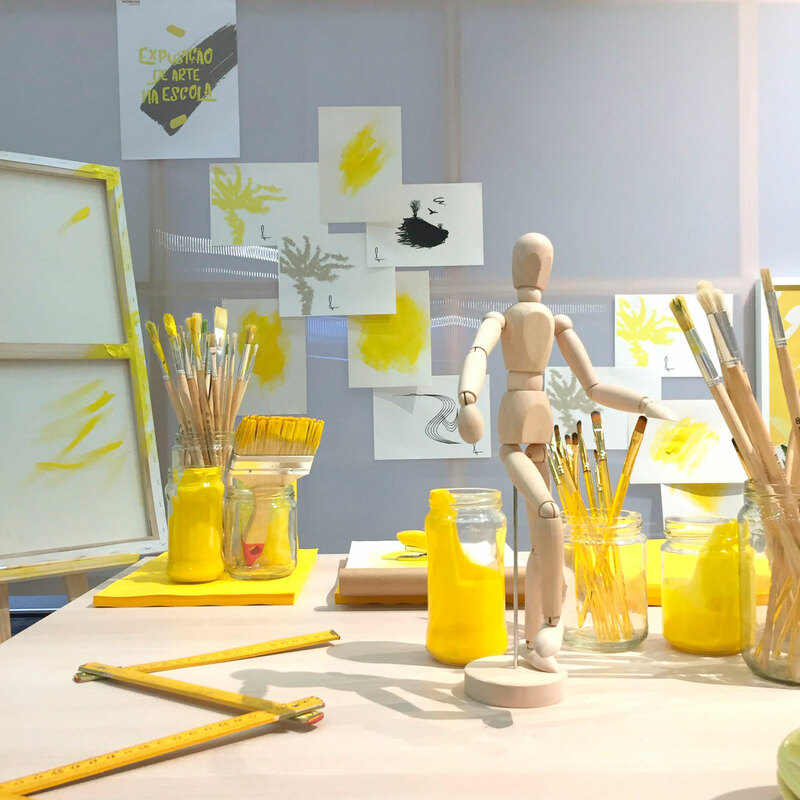 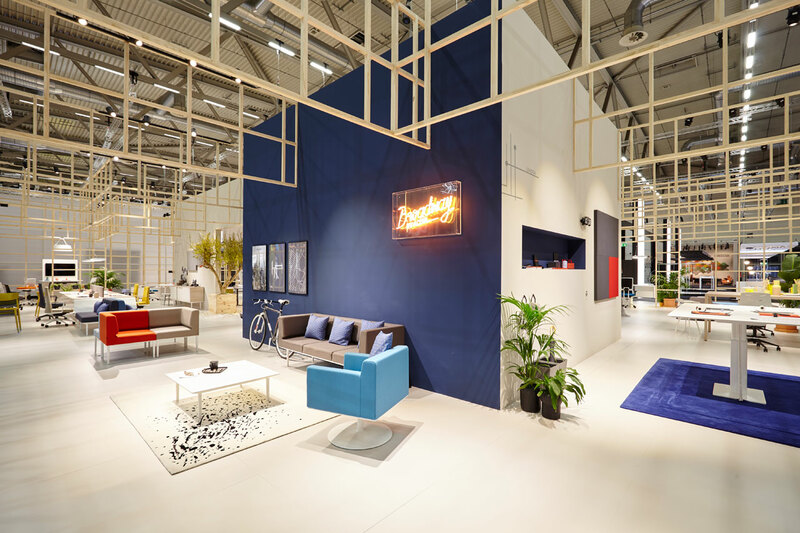 Orgatec played a part in demonstrating this new philosophy through the design of the stand itself, which was created in collaboration with Odosdesign and Cosin Estudio’s design and interior design studies. 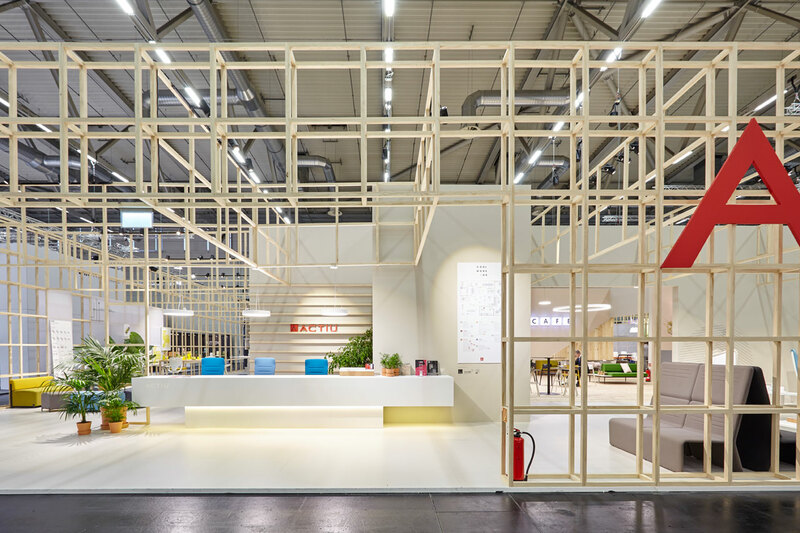 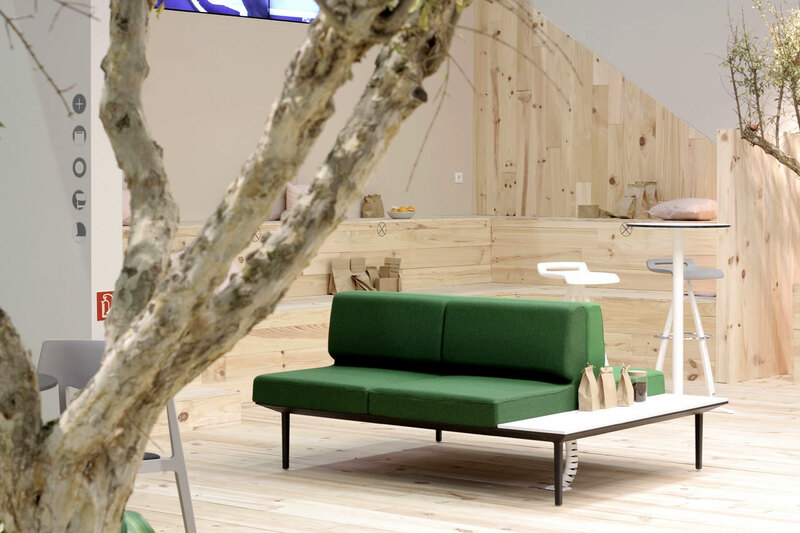 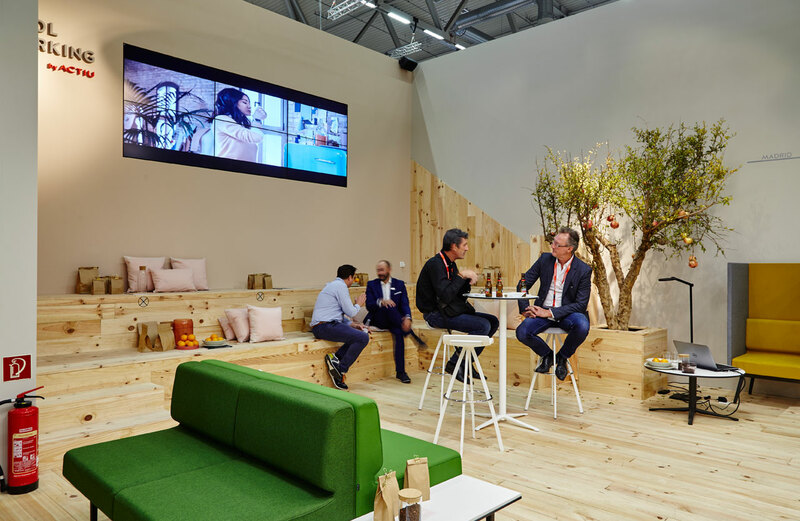 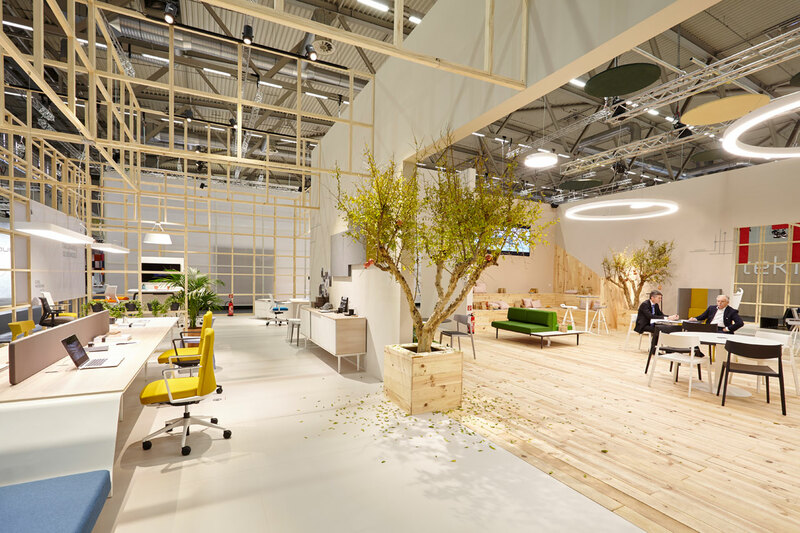 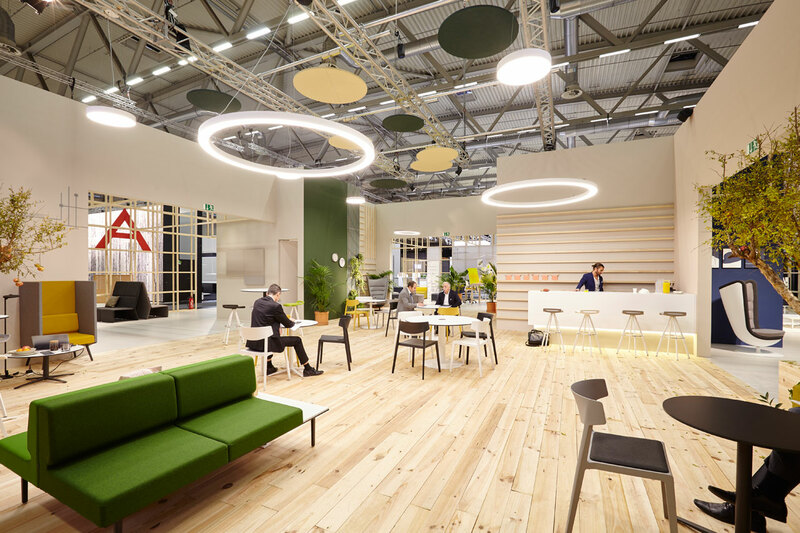 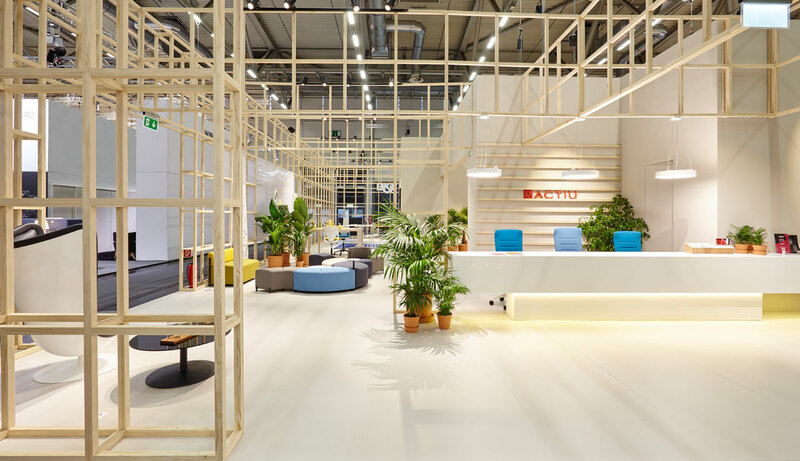 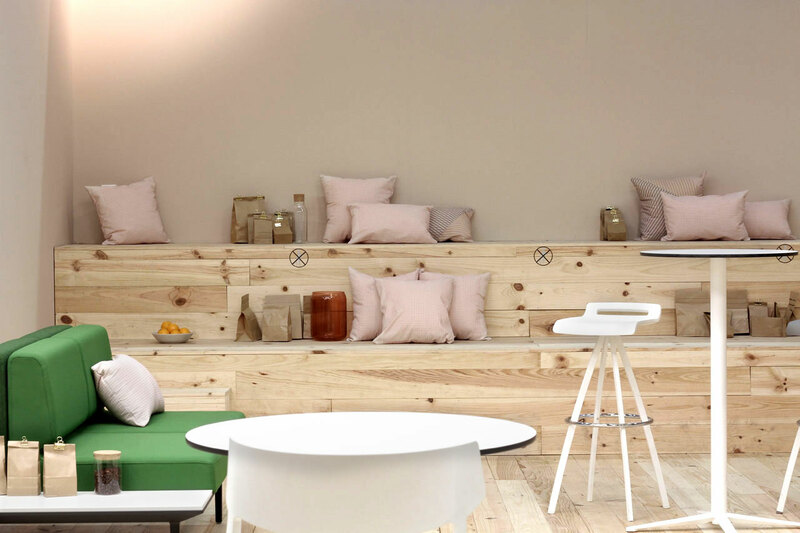 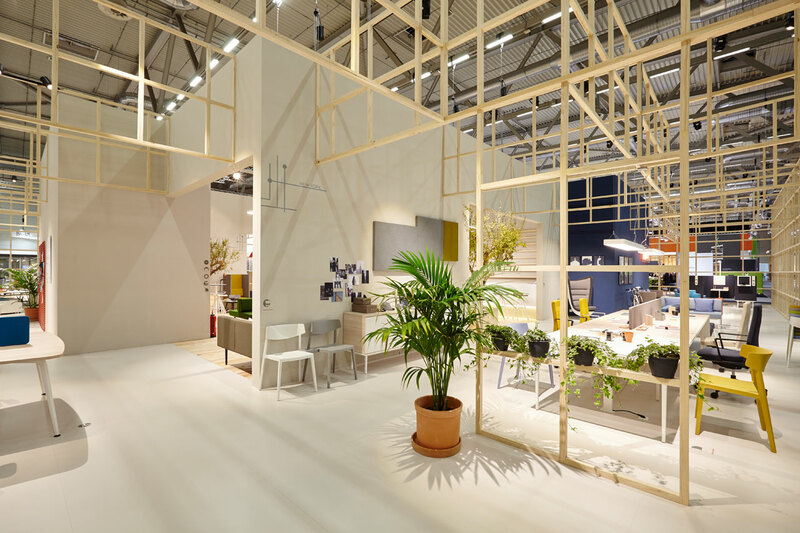 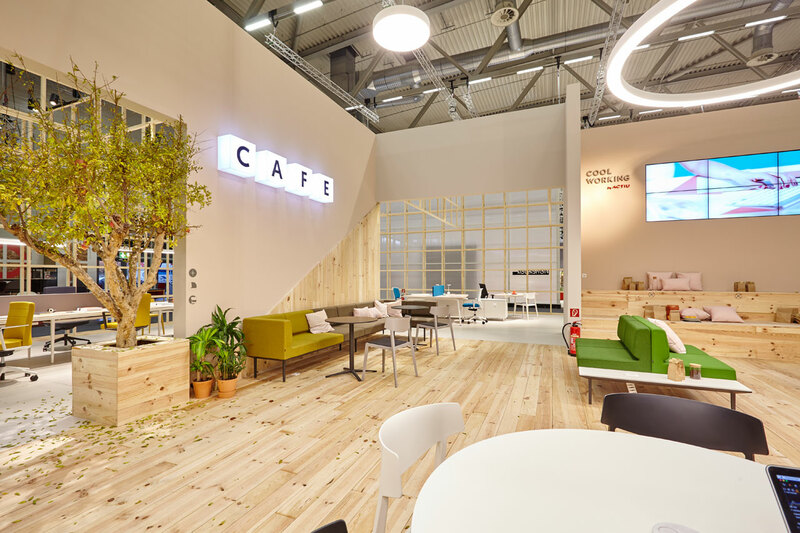 The stand consisted of a 600-square metre space designed using an immersive wooden structure, set within different cultures in order to show the global needs of current workspaces. 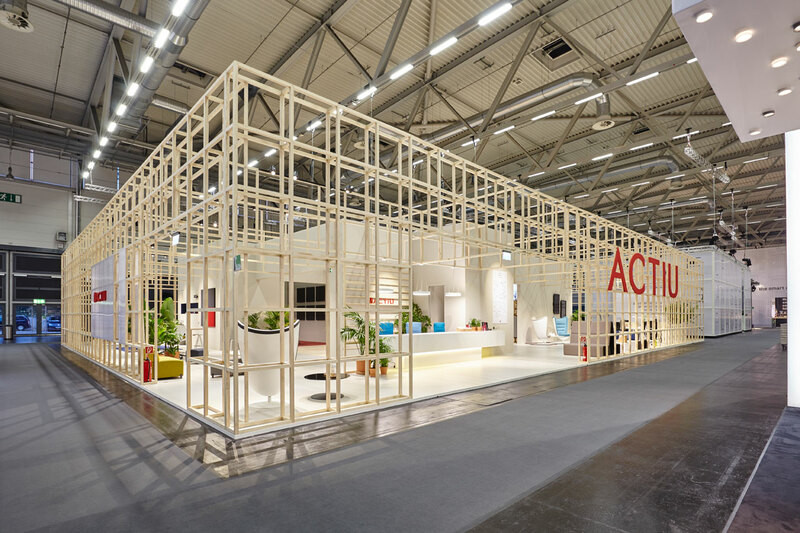 Passing through the space were thousands of people from five continents interested in Actiu’s products and their new work and furniture focus. 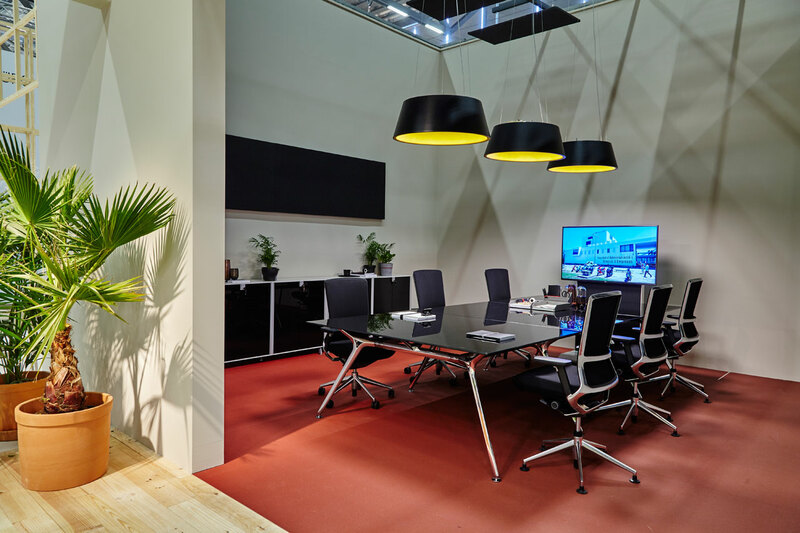 Speaking of new products, Twist, an operative desk system which encourages collaboration between different teams, was one of the most acclaimed ranges on show. 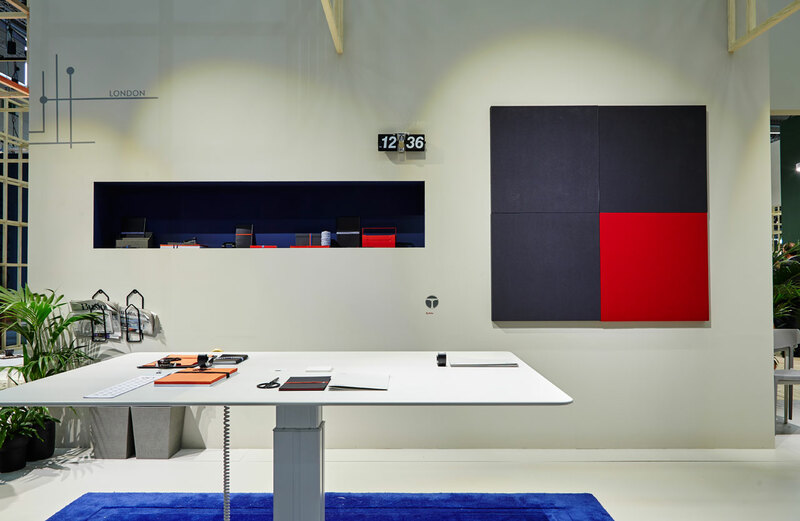 The acclamation was thanks to its large capacity for flexibility and its understanding of workspaces as inseparable from technology, hence its integration of connectivity ports. 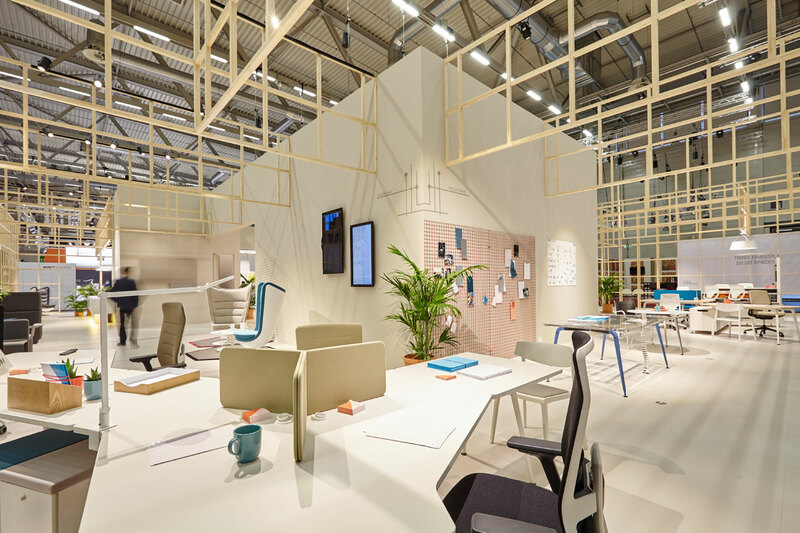 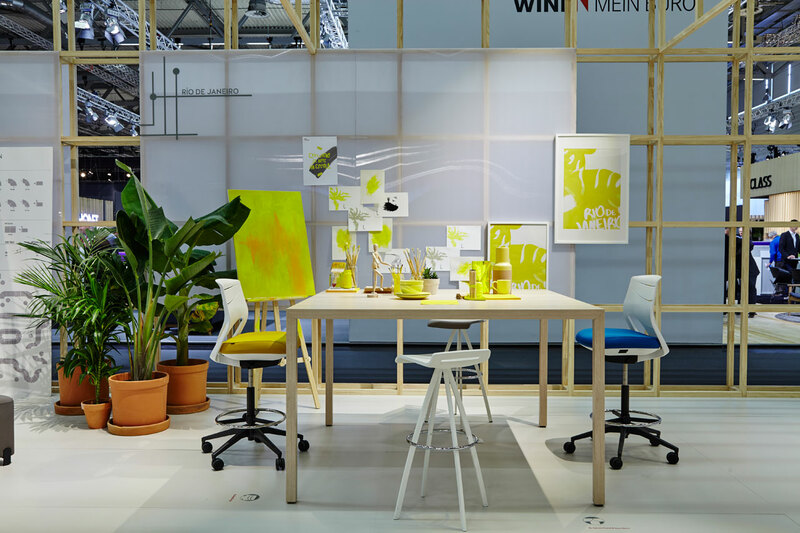 In fact, Twist is based on a “Cell” structure which allows new workstations to be incorporated with traditional desks in a more versatile manner. 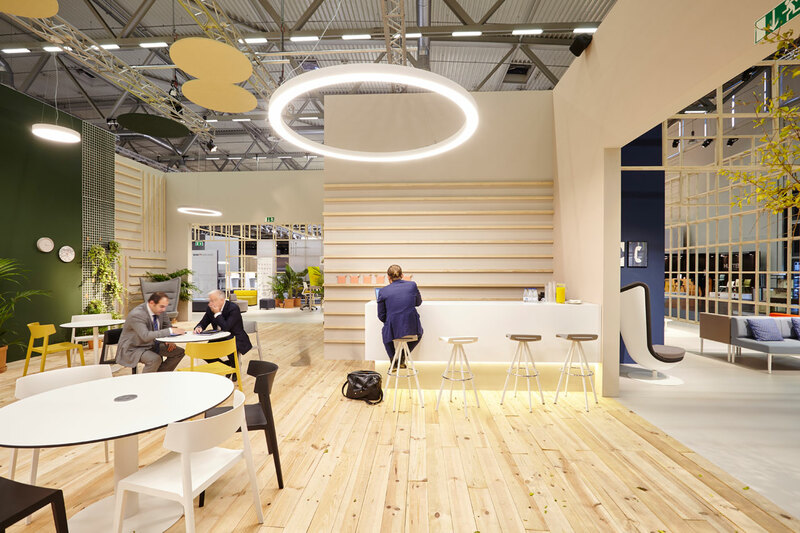 This new development has been very well received by the designers and architects who were able to test out its qualities at the trade fair. 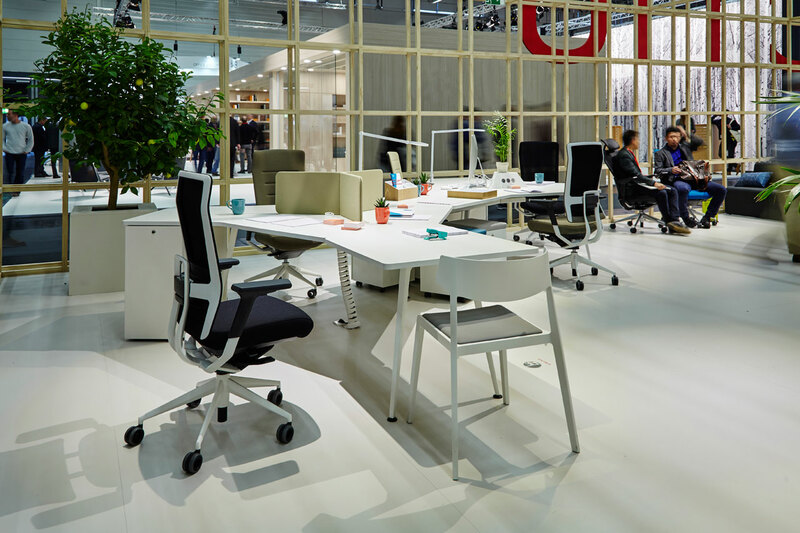 As for the two new office chairs designed by Alegre Design, they have also experienced a very warm welcome; people were impressed by TNK Flex’s focus on ergonomics and wellbeing, as well as the fact that is it is the chair which fits the user as though it were a glove by following all of their movements. 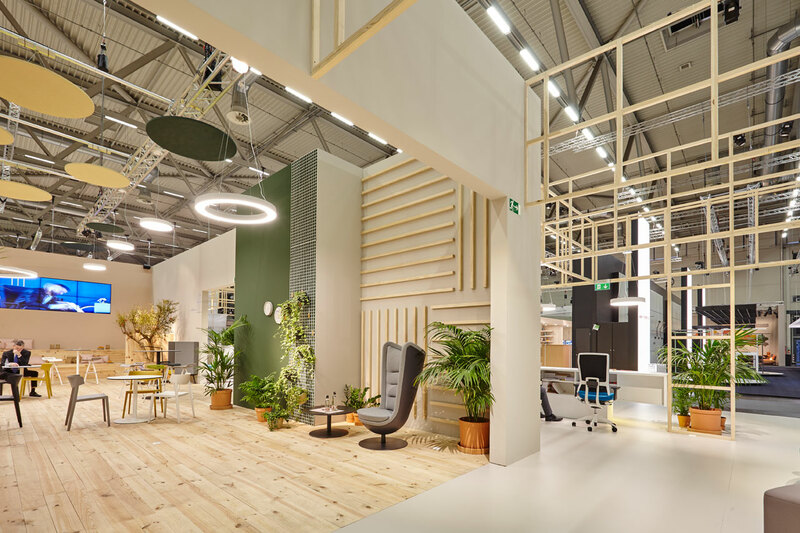 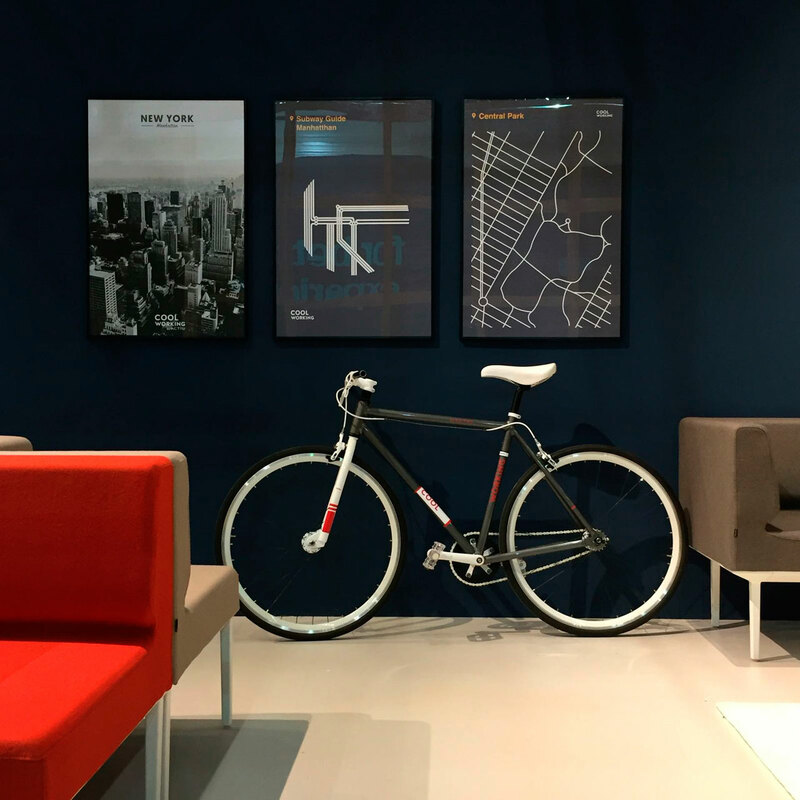 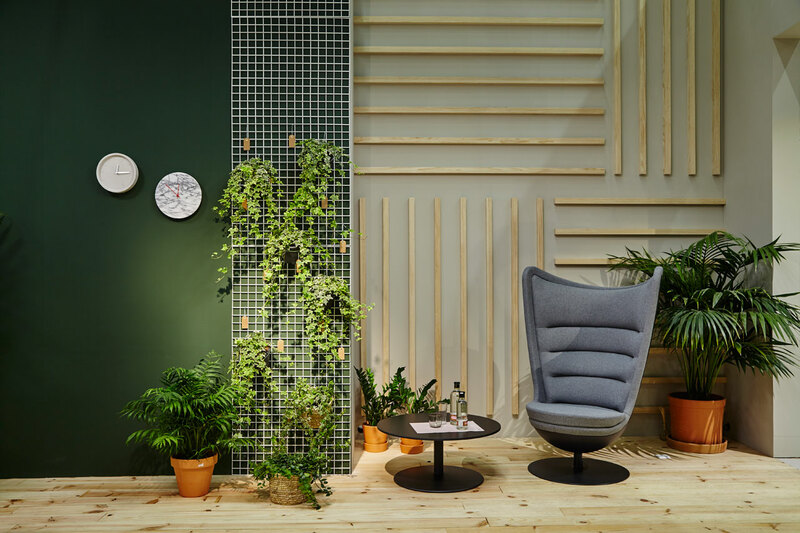 The chair was also the prize-winner of two of the prizes granted throughout the trade fair: best office chair by Archiproducts and nominated for the i-Novo de Archiexpo. 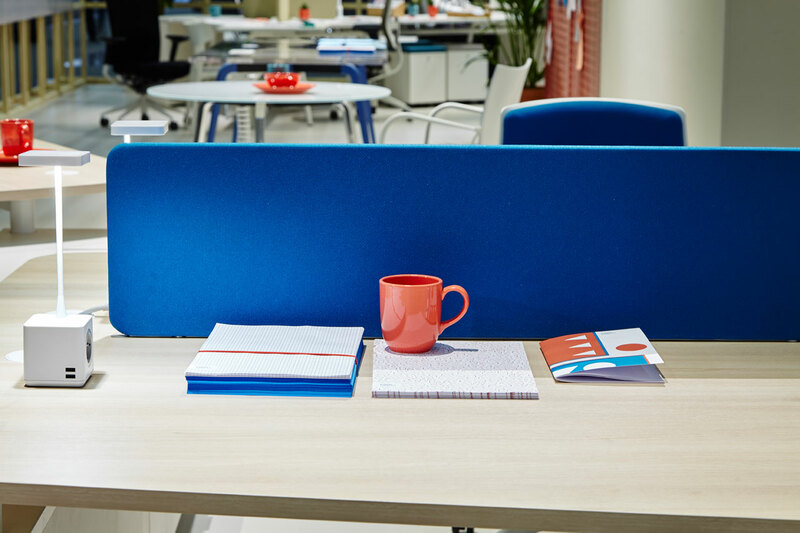 The eFit chair, aimed at a younger market with a fresh and innovative design, which also paying special attention to comfort and lumbar support, was a very appreciated product in both formats as a functional chair and a bench. 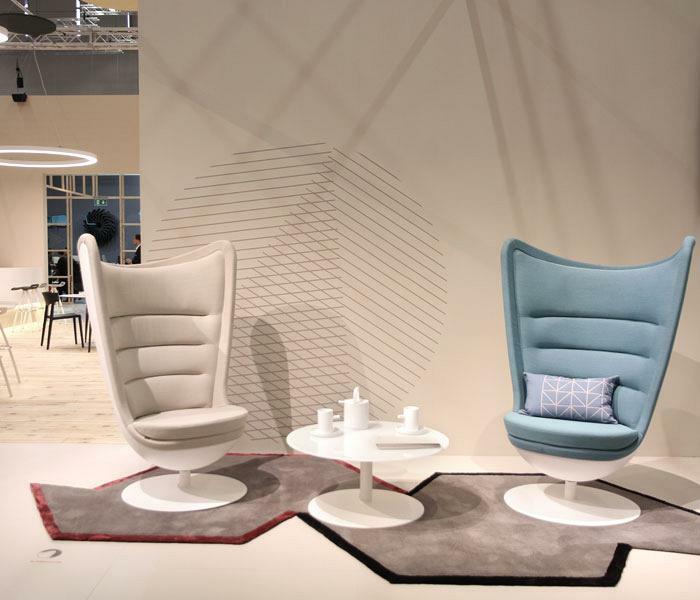 Bend, the new soft seating product designed by Stone Designs, not only caused the visitors to look at it, but also to feel it. 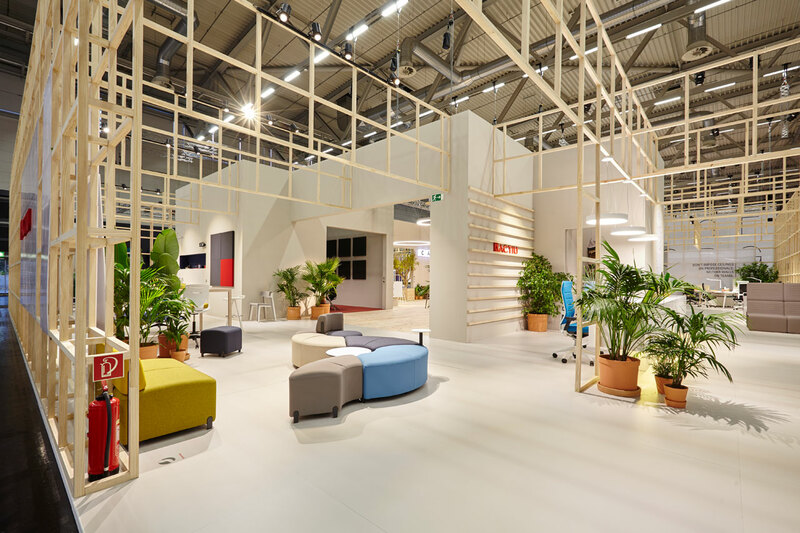 Everyone wanted to test out the flexibility of its possibilities and its capacity to transform into different configurations that can be adapted to each space’s special needs. 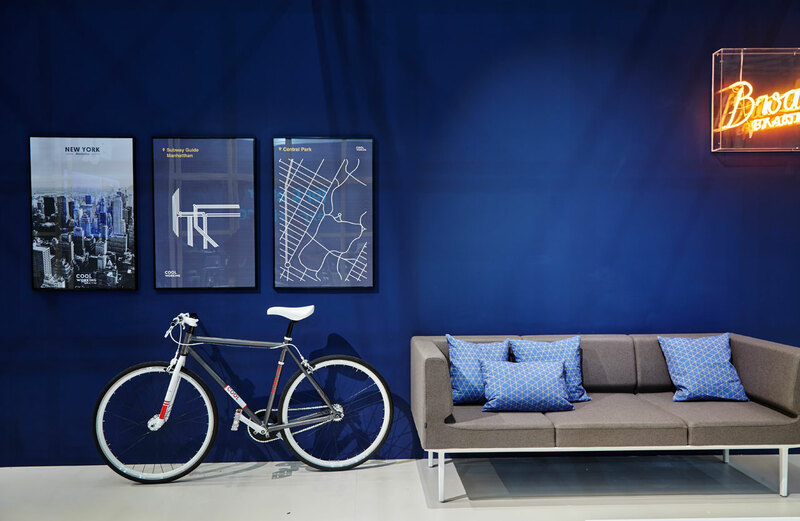 The ranges that Actiu has previously presented have been reinforced as the brand’s benchmarks and in many cases, are even seen as the icons of the brand. 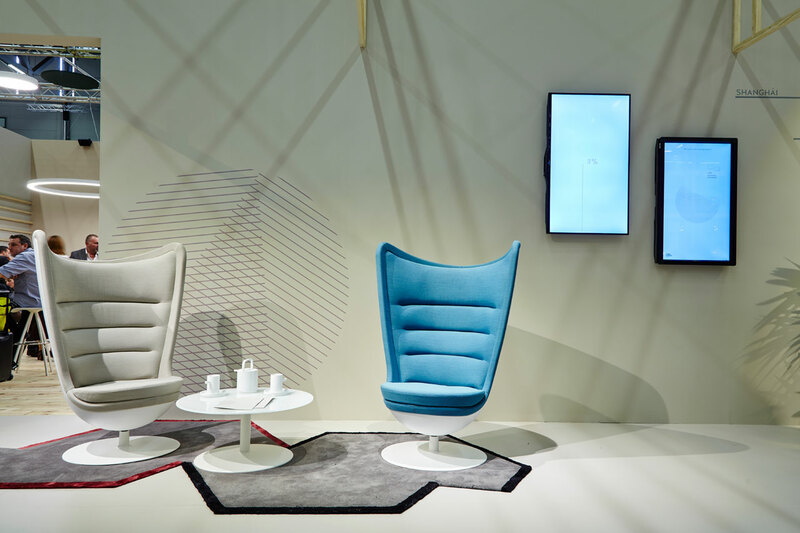 This is the case for both the Badminton armchair, and the Wing chair, designed by Ramos & Bassols. 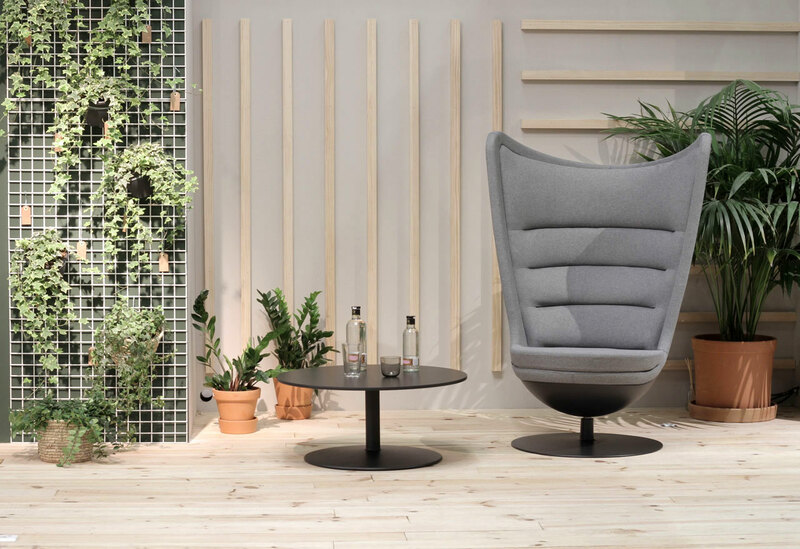 The Badminton was once again the piece most photographed by attendees and the Wing chair was recognised for its design and lightness by Red Dot and If Design Awards last year. 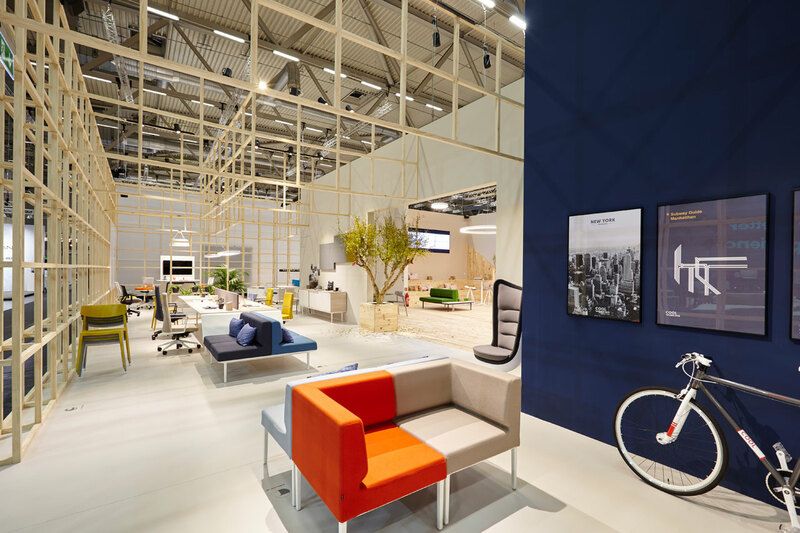 Guests were also able to test out Longo, the recent winner of the Neocon Prize for the best waiting area furniture piece. 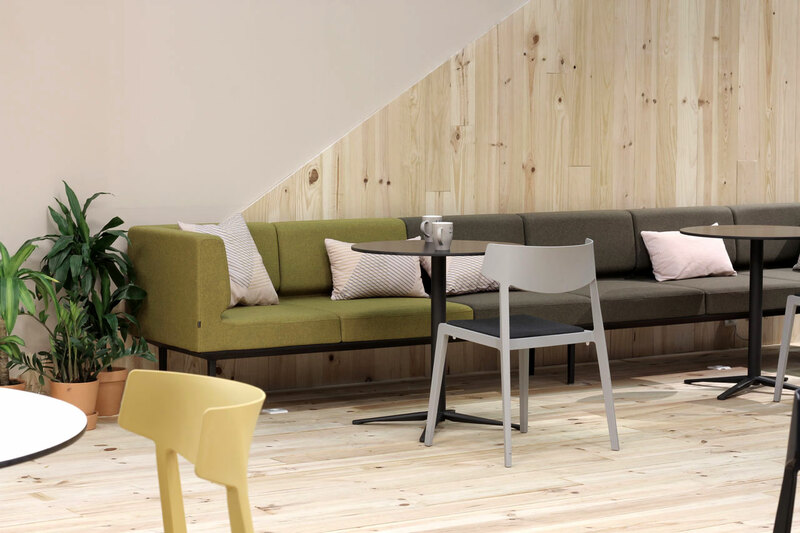 The Longo is capable of integrating soft seating into the office. 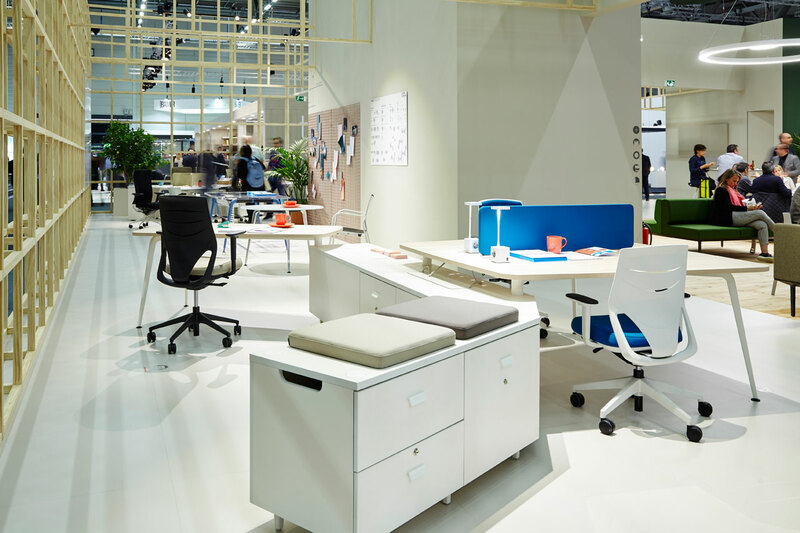 Thanks to the series’ different modules and accessories, Longo occupied a large area of the stand which, in turn, served to showcase its new and more collaborative and flexible solutions when teamed with some of the operative desks, drawers and armchairs presented in earlier editions. 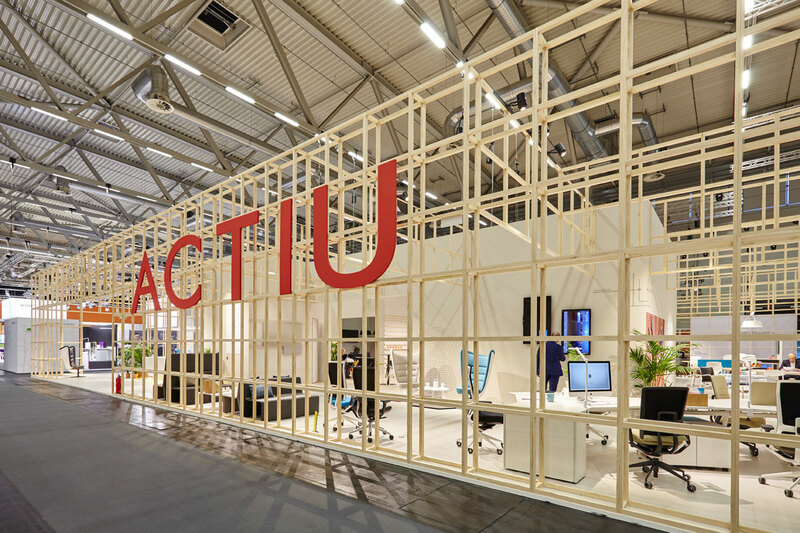 Finally, Actiu celebrated its Cool Working party in what turned out to be the icing on the cake of an unforgettable experience. 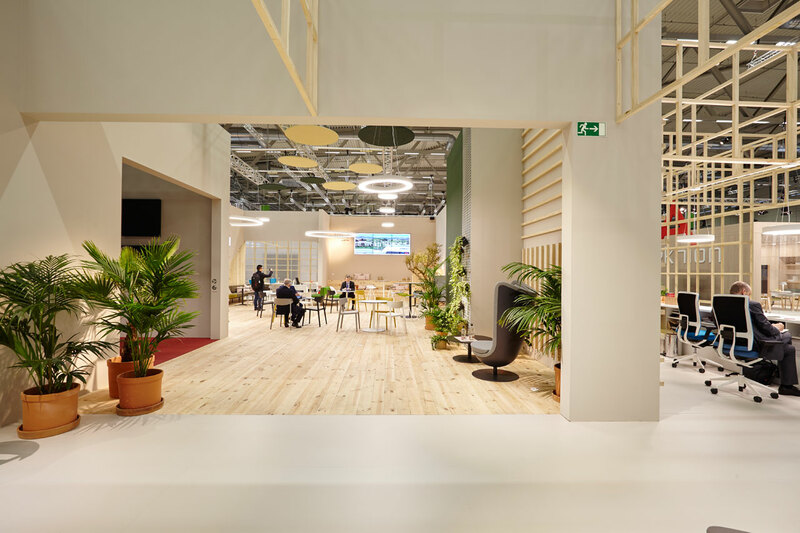 Numerous people who did not want to miss out on this leaving party congregated at the fair premises. 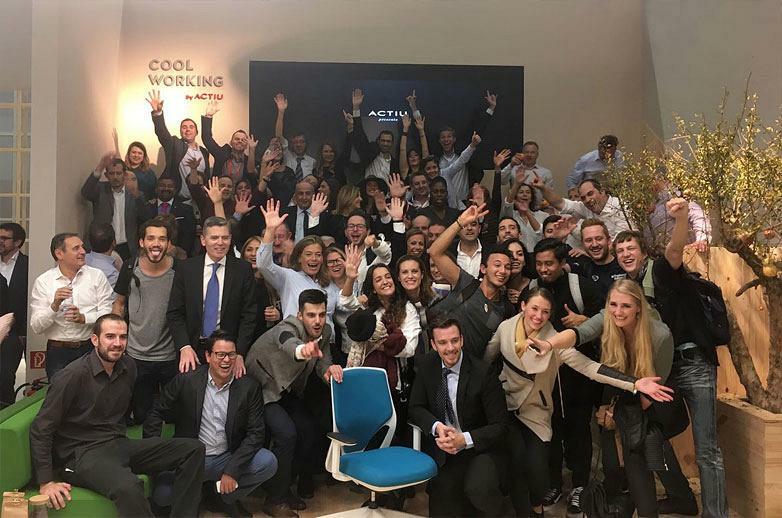 The party was one more demonstration that above businesses, projects and companies, the most important thing are people and the good relationships they create. 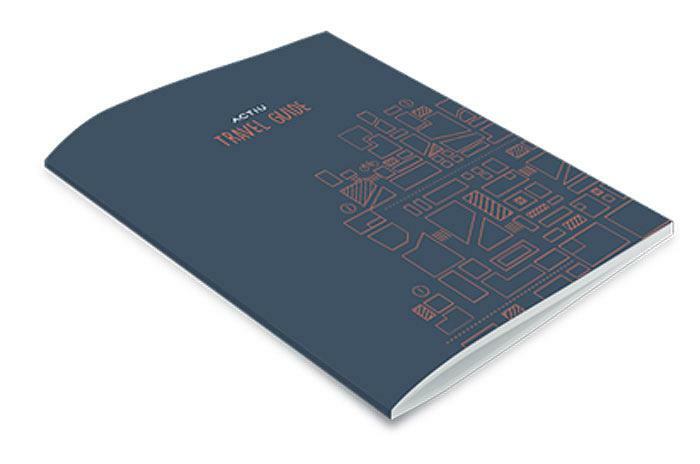 Thank you to everyone who made this journey possible!